Milking each cow takes about 5 minutes and the cow feels much better when her udder is not so full. 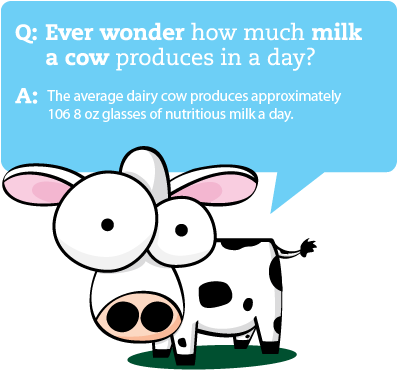 Farmers must milk their cows 2 to 3 times a day, producing an average 24 litres of milk. 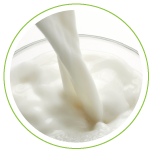 Canada’s Food Guide recommends that all Canadians should consume from 2 to 4 servings of Milk and Alternatives every day according to your age group. Milk products contain up to 16 nutrients and have been shown to build and and maintain strong bones; help prevent and manage hypertension and attain and maintain a healthy weight; as well as contribute to the prevention of certain types of cancer. Brought to you in partnership with Dairy Farmers of Nova Scotia.